Chocolate Drops is please to announce we received a Silver Medal for Excellence in Chinese Tourism sponsored by Tourism Council WA. We were up against some tough competition, namely ADAMS and Sandalford Wines. Congratulations to ADAMS who received Gold. 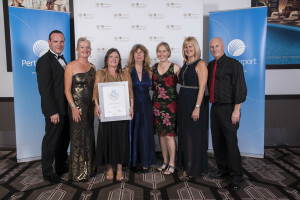 We were also a finalist in Specialised Tourism Services, sponsored by Prendiville Group. Another hotly contested category which went to Willie Creek Pearls.